Animation is thought of as a cash cow for the studios and a niche category for the Oscars. Yet a straight-faced argument could be made  and is, here  that 2009 boasted a richer crop of animated features than of live-action movies. We acknowledge the cartoonucopia with our top three selections, each in a different format. Hand-drawn (or 2-D) animation was left for dead in the CGI stampede, but this instant classic showed there's plenty of life, fun and heart in the old style. 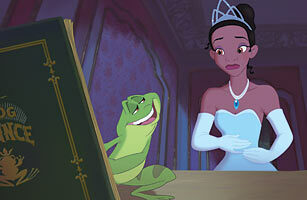 Tweaking the fable of the frog princess and setting it in 1920s New Orleans, directors John Musker and Ron Clements (The Little Mermaid, Aladdin) created a bayou full of winning characters, all bearing a wondrous comic elasticity. In time-honored Disney fashion, the movie offers a princess in the making, wishes made upon a star, the death of a major character and some well-earned tears to salt the spectator's smiles. For those who thought that 2-D had become the sole preserve of Japanese master Hayao Miyazaki (who returned to form with his sea fable, Ponyo), Musker and Clements proved that the number of dimensions don't matter; it's the animating spirit you bring to them. See the latest geek culture stories at Techland.com.